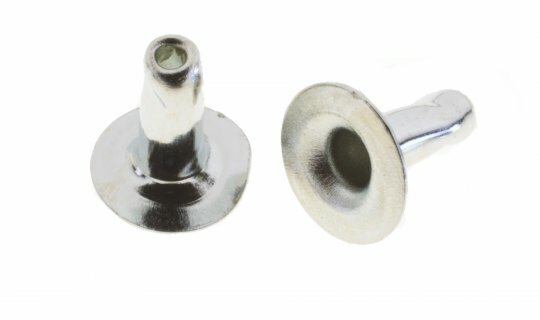 Single domed nickel compliant rivet only with 7mm stem. Matching hammer tool is NoG23D. 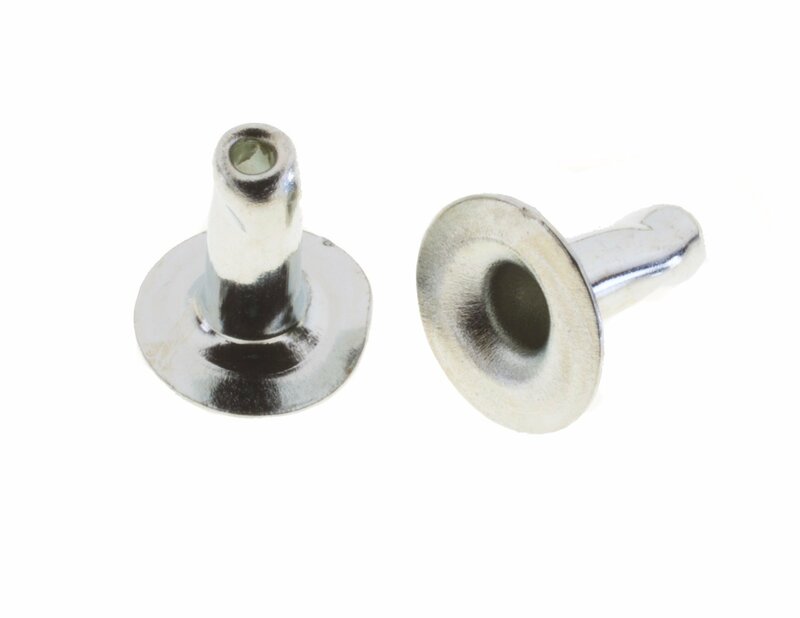 Traditional tubular rivets (comprising cap and stem) are an economical and practical permanent fastening option when working with leather, PVC, canvas and other textiles. 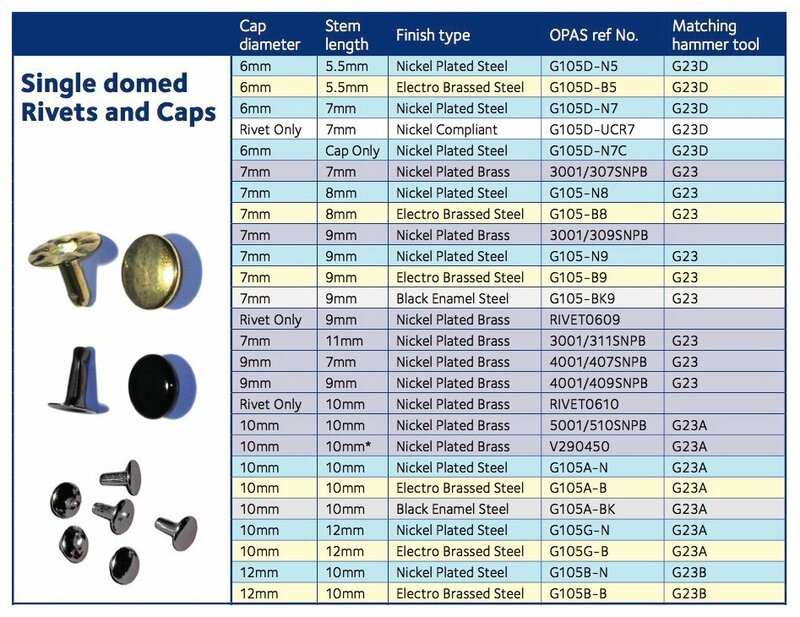 OPAS offer a huge range of sizes and finishes that are ideal for setting both by hammer tool or by one of our larger foot or bench presses. Photo for illustrative purposes only - not actual rivet.